This week is the beginning of a new project for me. 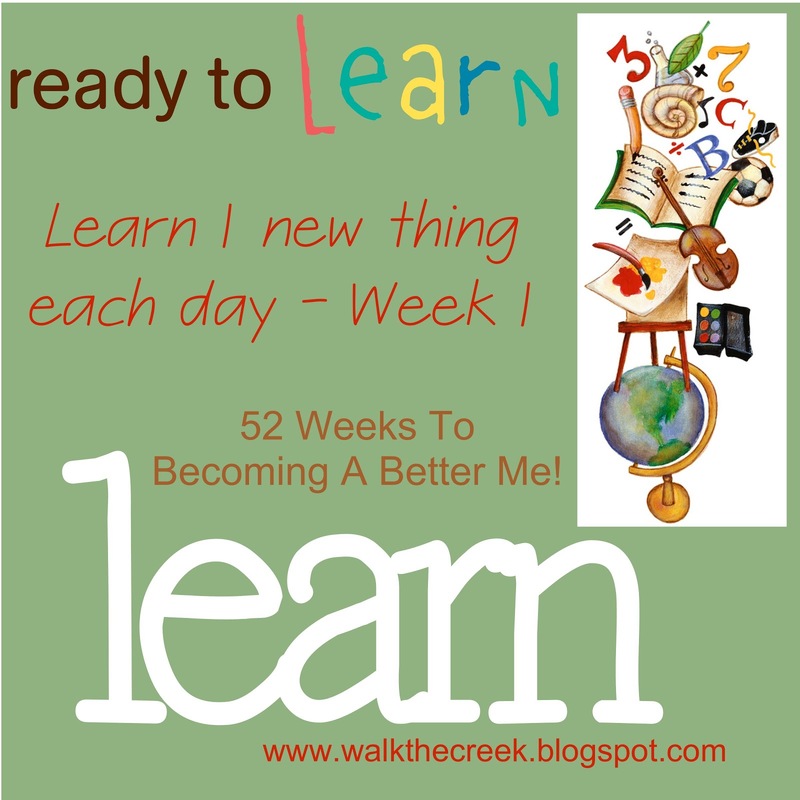 I have decided to do 52 Weeks worth of ways to becoming a better me! There are so many things we can do that are good, that it is mind boggling to figure out how to get them all done. I have written my list and decided to tackle one idea or project a week. I need to be better, want to be better, and should be better, so I must make myself better. 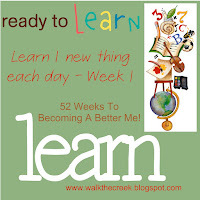 This week - week 1 - My concept to implement into my life is "Learn Something New Every Day". I know it sounds a bit daunting, but I am up to the challenge. You see I hate watching TV, so for me, I have a bit of time each day to put effort into learning something. In fact I love learning things. It really doesn't take much to learn one new thing each day. In your conversations you have, ask questions. In your pinterest searching, facebook scrolling, internet surfing, book reading, or whatever it is you do, take a few extra minutes to really learn something about what you are doing. Make Google be your best friend and use it to search something you have always wanted to know. Create a new pinterest board and research a topic, but take it to the next level and actually do some study on the topic, not just pin a ton of things. Go to your local library and check out a book on what you are interested in. Download a vocabulary app to you phone and learn one new word each day. Memorize one new quote each day. It could be as simple as asking someone a question about them, that you do not already know. The possibilities really are endless as to what you can learn. Here is what you need to do first, before any of that, create yourself a list of all the things you have wanted to learn or know about ever. There you have your starting place. Now get to work. Create your list. Start learning. Have fun with it!